Meal delivery services are caterers who deliver your meals for the week in Tupperware containers. All you have to do is re-heat your dishes in the microwave, and you’ve got your lunch or dinner. Meal delivery saves you time: you don’t have to cook, or even go grocery shopping. Meal delivery services are a great time-saver. They’re a very practical option when you don’t have time to cook. They’re also less expensive than a restaurant meal (about $10 per portion). Meal delivery is a different concept to simply ordering a delivery from a restaurant; meal delivery really aims to help you plan your weekly meals, not just to get you out of a tight spot. 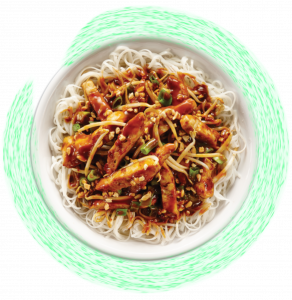 In fact, most meal delivery services require you to order meals a few days in advance. The greatest disadvantage of meal delivery is that you don’t cook the meals yourself. This means you have no control over the amount of fat or salt you’re eating. Nutritionists also recommend taking the time to cook meals with your children, to get them familiar with different foods. Meal kits (meal delivery services) allows you this; you cook your meals yourself, using the ingredients and recipe you’ve been sent. The recipes are designed to be simple, easy to cook, and take less than 30 minutes to prepare. Meal delivery is great, and it’s easy, but you lose out on the pleasure of cooking and eating together as a family. The alternative to meal delivery is meal kit: you get a box containing the ingredients and recipes you’ve chosen, and all you have to do is the cooking. The very best is Cook it , which allows you to combine the two concepts. When you make your selection, you can choose both ready-to-eat and ready-to-cook meals. It’s the ideal solution for busy families! No more need to go grocery shopping, and you only have to cook when you want to.